This site has been co-produced by Gary Nisbet and Tim Gardner. Gary is the historian and Tim is the webmaster. All the photographs have been taken by one of us, unless otherwise stated. We have also attempted to give a complete list of all our sources. Below is a little more information on the two of us. Gary Nisbet was born in Glasgow in 1960 and studied Tourism and Supervisory Management. A freelance researcher and photographer of Glasgow's architecture and sculpture, he contributed to Glasgow's City of Culture celebrations with the Scots Magazine article Gary Nisbet's City of Sculpture in August 1990, and followed this with an exhibition of his photography at the RIAS Bookshop, Sauchiehall Street, in 1991. From 1998-2001, he contributed research and photography to Ray McKenzie's books Sculpture in Glasgow and Public Sculpture of Glasgow (Joint-winner of the 2002 Saltire Society Scottish Research Book of the Year), for which he compiled the Biography and Lost Works sections, and worked on the PMSA Glasgow Sculpture Recording Project, co-ordinated by Ray McKenzie at Glasgow School of Art. In recent years he has contributed research and advice to a number of restoration projects in Glasgow, the most important of which have been the restoration of the Doulton Fountain on Glasgow Green, and the Stewart Memorial Fountain in Kelvingrove Park. 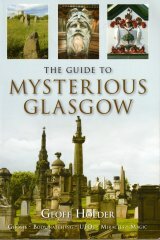 As well as co-producing the Glasgow - City of Sculpture website, he is currently working on surveys of sculpture in Paisley; Glasgow's cemeteries, including the Necropolis; and the city's lost sculpture and forgotten fountains. He has also appeared in the national press and on radio and television, including the BBC 's The One Show, discussing Glasgow sculpture, and has lectured throughout Scotland on the subject. After working for the National Trust for Scotland for a decade, he now works for the University of Strathclyde in Estates Management. Tim Gardner was born 1942 in Brigg, Lincolnshire. He was brought up in Yorkshire and London, worked in Germany and France for seven years, and lived in Scotland from 1981 until 2008. Tim has a degree in Mathematics and Computing and worked at BBC Scotland as an IT Systems Co-ordinator, mainly producing custom-designed databases for a variety of purposes. Since his retirement he has interested himself in the internet, this website being his first full-scale production. He has plans for further websites, in co-operation with Gary Nisbet. Tim now lives in Sitges, near Barcelona, but continues to manage this site. The fantastic, if I say so myself, little popup information boxes, are created using the famous overLIB, copyright Erik Bosrup. Most of the photographs were taken using one of our Fujifilm digital cameras. Our trusty computer engineer was Rod Tacey, who has now returned home to Australia. Subscribers to our newsletter will always have the opportunity to cancel and, in that case, the email address will be removed from our files. As our newsletter has now been discontinued, all subscriber email addresses have been deleted from our files. Copyright After all our hard work we would now like to share this site with the rest of the world. But please note that the entire contents of the site, are copyright. No part of this site may be reproduced in any form whatsoever without our permission. To use information found on this site we would normally just require an acknowledgement of this site as the source plus a link back to us, but please ask first. No images whatsoever, for whatever reason, may be reproduced without our express permission. Any commercial use of our material, either text or images is subject to a fee. Please contact us for details. We reserve all rights and any infringement will be pursued. We respect the intellectual property of others. If you believe that your work has been copied in a way that constitutes copyright infringement, please let us know. If we find that there is infringement upon your property, we will remove the material in question as soon as possible.